One of the first essays about creative writing I ever read was “On Keeping a Notebook” by Joan Didion. It’s one of the most influential pieces I’ve read. In the essay, Didion discusses how keeping a little notebook with her at all times has affected her writing life and overall creativity. Your notebook, as a writer, is a private place where you can record novel ideas, snippets of conversation to recreate in dialogue, and wayward thoughts with no discernible shape that could come in handy some day. In Didion’s words: “We are talking about something private, about bits of the mind’s string too short to use, an indiscriminate and erratic assemblage with meaning only for its maker” (3-4). The notebook is for your own personal benefit. You don’t have to show it to anyone else. 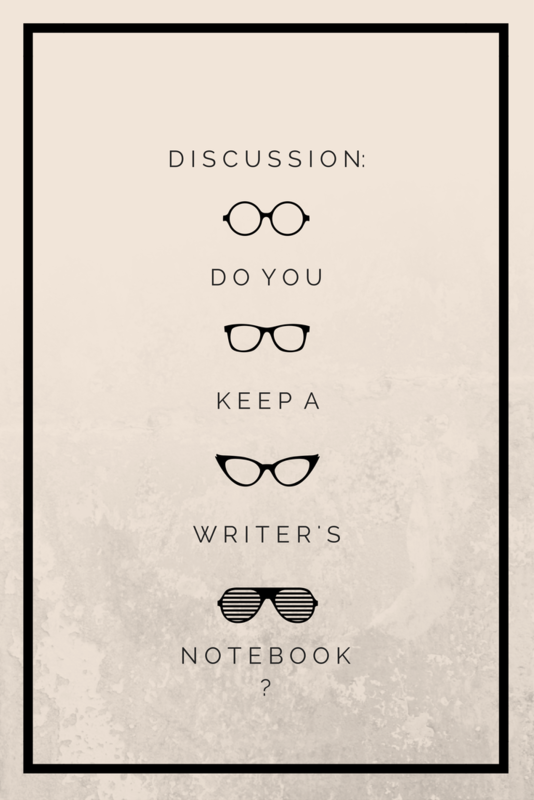 What do you think of keeping a writer’s notebook? Do you have one? What do you put in it? How do you think it has helped you as a writer? I think a writer’s notebook is essential to the writing process. For me, I keep one for every novel I’m working on. So I can keep my character sketches, timeline, random dialogue, and ideas all in one place. And I keep a second one for every random idea that’s not related to a novel. I just have one that I sort of dump everything into. I should probably work on my organization. I recently discovered bullet journals and so far so good. I have never been much a daily diary kind of a person so this method is quite convenient for me. I also get to include my thoughts, snippets and quotes in one place without worrying about the weight of my handbag. If I feel that an idea is worth exploring or a link that I want to save, I simply add it in my blog’s drafts. I have about 5 notebooks 😀 I think it’s one of the most important writer’s tools. I jot down everything in it from inspiration to short stories! I’ve been looking into bullet journals. Maybe I’ll give them a try! I can’t tell you how many napkins I’ve written on. It happens!